I received a Tweet recently that said that they loved all that we are doing, guessing we were tucked away in the countryside, then on realising that we were here in the city of London thought it all the more awesome! I guess that most of the stuff we tell you about is based on country skills and experience, so here’s a post dedicated to our beloved London. 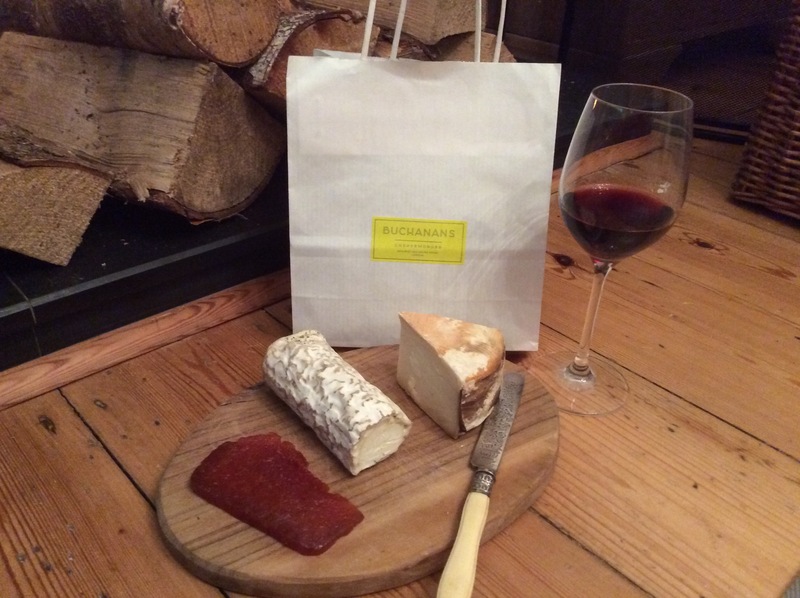 On Wednesday, after a school governors meeting, food shop and emails I packed up some Honey and Piccalilli in a gift bag to take on a special visit to artisan cheesemonger Rhuaridh Buchanan who has a wonderful shop with on-site maturing rooms in Porchester Place, Westminster. We shared stories and a soft goats cheese and discussed how Buchanans could get involved in the local community, maybe by supporting schools and inviting students to come and discover more about their cheeses; how they are made, how they are cared for and most importantly how they taste. I think I discovered a hidden gem and certainly made Andy’s day when I arrived home with a goodie bag to share in front of the fire for supper. Thursday found me training a group of London school teachers in how to ‘Keep Chickens and Bees in School’ then the weekend brought a wonderful surprise; we discovered that we’d been named first in 10 of the Best Courses in London, with Claridges Masterclasses placed as number two. Once our new kitchen is installed, we will be offering a much wider range of food based courses refining our artisan cooking skills as well as our garden based chickens and bee keeping sessions. Finally, today, after cooking twenty Full English Breakfasts at our local Winter Night Shelter, I baked a cake to share with Guerrilla Gardener and author Karen Liebreich. We had linked up on Twitter, as she is the brains and muscle behind Abundance London, but when chatting we discovered so many other connections it was surprising that we hadn’t met up before, ideas were buzzing and I’m sure that you’ll find us working on joint projects in the future. If you’d like to visit us here in London, we have courses running right throughout the year with three places left on Saturday 28th February for Families, Feathers and Fun. March then welcomes the builders to create a fantastic new kitchen that will facilitate a wide range of sessions exploring artisan cooking skills and we are back outside with the chickens in April, kindly promoted by Country Living Magazine. The Horniman Museum have asked to bring our hens along to a Chirpy Chickens event – come and say hello in the Easter holidays!